If you are a parent saving for your child’s college tuition, the idea of investing with a 529 college savings plan may be relatively new to you. As we approach ‘529 day’ you find yourself wondering what the all the hype is about. Many states are promoting their 529 plans with sweepstakes and contests and some even offer tax incentives for residents who enroll. You also may have heard that earnings in these types of accounts grow tax-free and withdrawals made for college expenses avoid federal tax. Sounds pretty great, right? Although 529 plans gained most of their popularity in recent years, the idea of a tax-advantaged college savings plan actually began almost 30 years ago. 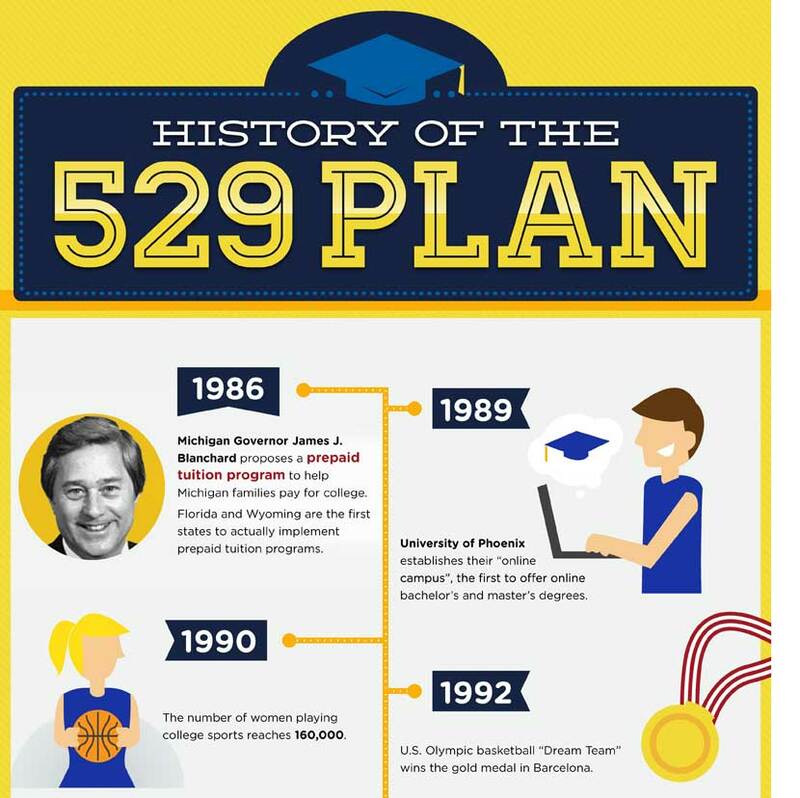 See our History of 529 Plans Infographic Below! Back in 1986, the average annual tuition of a public university in Michigan was a whopping $1,700 (today’s price is around $9,000). Fears of rising costs led Governor James J. Blanchard to the idea of a state-sponsored prepaid tuition program where families could invest a lump sum or installments over time to pay for future college expenses at current prices. (Florida and Wyoming had the same idea and were actually the first states to implement these types of programs). During the next four years, around 55,000 Michigan residents enrolled in the Michigan Education Prepaid Tuition Plan (MET). Since the plan was an investment vehicle, Michigan had to pay federal income taxes on any earnings. In 1990 the plan filed suit requesting a refund from the IRS. The court initially ruled in favor of the IRS, but after an appeal in 1994 the Sixth Circuit Court of Appeals found Michigan in favor and declared MET to be tax-exempt as an instrument of the state. This monumental decision led to a bipartisan effort to seek federal tax relief for all college savings vehicles, and qualified state tuition programs became part of the Small Business Protection Act of 1996. This also led to the creation of Section 529 of the Internal Revenue Code. Infographic: How much do you need to save for college? In 1997 Section 529 was amended by the Taxpayer Relief Act, which provided several higher-education tax incentives including deductions on student loan interest. There was a major improvement in 2001 when the Economic Growth and Tax Relief Reconciliation Act (EGTRRA) made the earnings in 529 plans completely tax-free when used for college, but gave it an expiration date of December 31, 2010. Fortunately the Pension Protection Act of 2006 removed the expiration date and made the exemption permanent. The good news continued in 2007 when the College Cost Reduction and Access Act was signed. 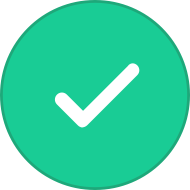 This allowed all UGMA /UTMA 529 accounts to be considered parental assets on the Free Application for Federal Student Aid (FAFSA). Why is this a big deal? When determining your expected family contribution (EFC), 20 percent of a student’s assets may be considered in the calculation, but parents’ assets count for much less (up to 5.64%). That means students with savings held in a 529 account could potentially be eligible for more financial aid. Today, 529 plans are available in almost every state and total assets have topped $200 billion. Experts, including our very own Joe Hurley, agree that in most cases 529 plans are the best way to save for college. Even the President of the United States has opened accounts for his own daughters. We hope you enjoy this fun infographic that highlights events since the birth of the first college savings plan. If you have any questions regarding 529 plans, we invite you to participate in our upcoming webinar on May 29, 2014. Register to attend the webinar here!